Copyright © Volker Betz (2011) - This image is copyrighted. Unauthorized reproduction prohibited. Field of view 3.5 mm. A black coated (Fe-oxides ?) 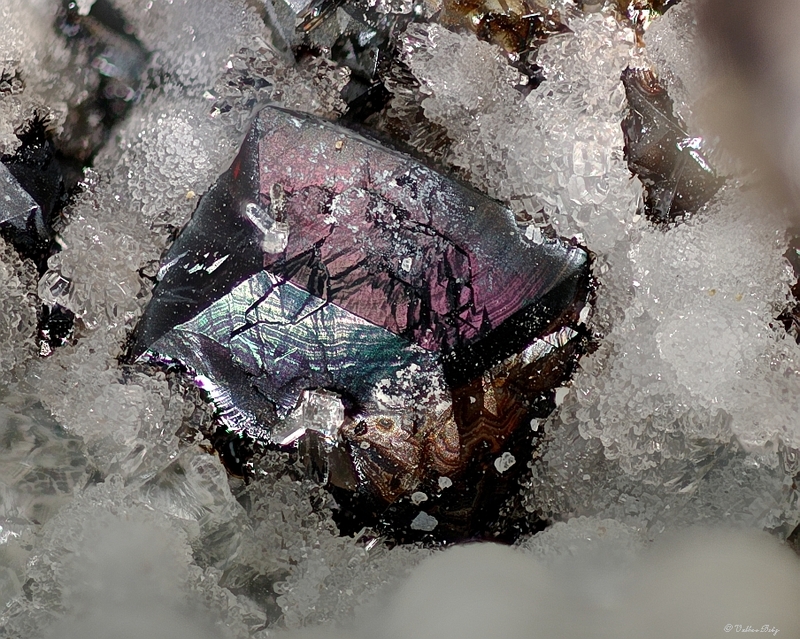 crystal which shows under some light directions coloured interferneces of the thin coating. Collected 2005 at Quarry II. Zeolite collection of Volker Betz.